David Austin, whose line of garden roses earned legions of admirers, died peacefully at his home on December 18. 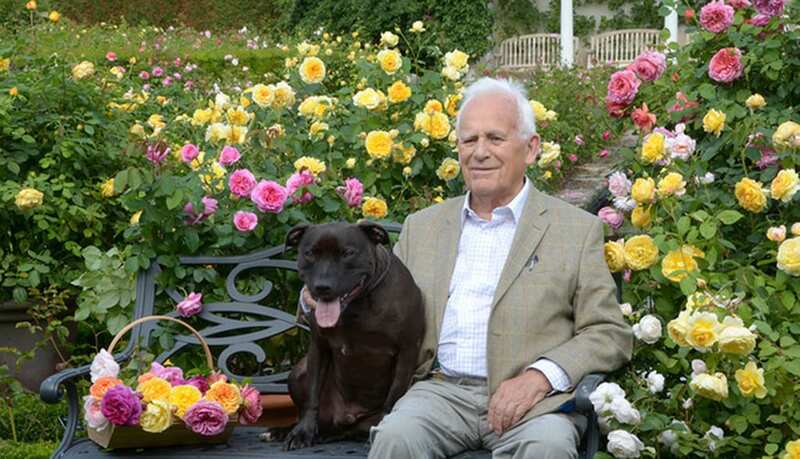 World-renowned rosarian David Charles Henry Austin, whose eponymous line of garden roses earned legions of admirers among floral industry professionals, gardening enthusiasts and brides alike, died peacefully at his home in Shropshire, England, surrounded by family on December 18. He was 92. In his early 20s, Austin developed a keen interest in Old Roses, which boasted phenomenal fragrance and a charming, antique aesthetic, but lacked the color diversity and other modern benefits of Hybrid Teas. Intrigued, he set about creating an entirely new type of rose that combined the best attributes of each. His first English Rose, ‘Constance Spry’, launched in 1961. A perfectionist at heart, he bred more than 240 varieties during his extraordinary career, unwaveringly in pursuit of an ever-more beautiful rose. 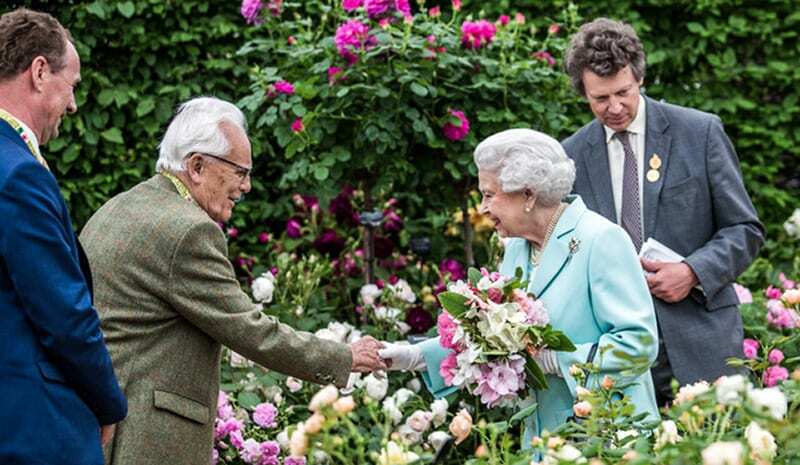 He received numerous gold standard accolades at the Chelsea Flower Show, as well as the Order of the British Empire for services to horticulture in 2007. “[David Austin] was nothing short of brilliant,” said Joost Bongaerts, CEO of Florabundance, Inc. in Carpinteria, California. Until very recently, Austin oversaw the company’s breeding program, carefully examining prospective varieties, always accompanied by his beloved Staffordshire bull terrier, Bertie. Growing up in the Shropshire countryside, Austin developed a fascination with plants from a very young age. His interest in flowers, however, ignited when he first discovered a magazine called Gardens Illustrated, tucked away in the school library. He grew ever more absorbed through frequent visits to a family friend’s nursery where he studied new varieties of lupins the friend was breeding. On his 21st birthday, Austin received A.E. Bunyard’s Old Garden Roses from his sister, which led to his calling. He took on rose growing as a hobby. He was beguiled by the beauty and fragrance of Old Roses but recognized that the new Hybrid Teas possessed desirable qualities, such as a wide color range and the ability to repeat flower. This led to his light bulb moment to invent a category that married these two types of roses. Resolute in purpose, Austin began the slow process of breeding this new rose. With time and extraordinary dedication, he created his first variety in 1961. Industry professionals said nobody would buy his “old fashioned roses” and nurseries refused to stock them. Not one to be easily discouraged, Austin ignored his detractors and sold his roses to the public himself, using his own kitchen table in Shropshire as his distribution center. He also sold a wide range of other roses including Old Roses, climbers and ramblers. By 1969, Austin had refined the breeding process and launched his first range of repeat-flowering “English Roses,” the name he coined for his ground-breaking varieties that fused the old with the new. The early years were a struggle, particularly because he was trying to compete with so many other rose nurseries. However, with the support of his wife Pat, combined with the unique combination of attributes his roses had to offer, Austin’s English Roses grew in popularity and the Old Rose style began to enjoy a long overdue renaissance. In 1983, Austin experienced his first real breakthrough when he introduced three English Roses at the Chelsea Flower Show, including one named after his good friend and mentor, the revered horticulturist, Graham Thomas. The response from the press, as well as the general public was overwhelming. The following year, Austin saw the first of many gold medals at the RHS Chelsea Flower Show, and the David Austin garden gradually became one of the highlights for the show’s visitors, which continues to this day. 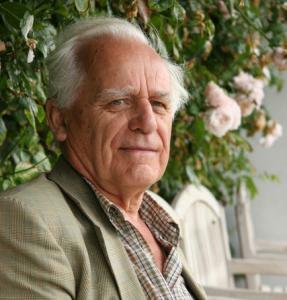 Austin was awarded the Order of the British Empire for services to horticulture in 2007. With the increased popularity, the nursery business started to grow, and the extra income allowed Austin to replace the rusty, draughty old barns with modern packing sheds and gradually expand the size of his rose breeding program, which today is one of the largest in the world. From pollination to sale, the whole process of creating a new rose takes nine years. For each new rose released, roughly 120,000 unique roses will have been grown for research. Austin’s rose breeding endeavors have resulted in a number of awards, with one of his proudest achievements receiving his OBE in 2007 for his services to horticulture. “Every day, I marvel at my good fortune to have been able to make a life out of breeding roses,” Austin said upon receiving the award. “My greatest satisfaction is to see the pleasure my roses give to gardeners and rose lovers around the world.” He was also awarded the Victoria Medal of Honour from the Royal Horticultural Society, an honorary degree from the University of East London and the Dean Hole medal from the Royal National Rose Society. In 1990, Austin welcomed his oldest son, David J. C. Austin, into the business. Together they have developed David Austin Roses into a worldwide business, extending the United Kingdom operation to Europe, the U.S. and Japan, where they now have offices. Not one to rest on his laurels, in 1992, with the driving force and support of his son, Austin decided to start up a completely new side to the breeding program, developing varieties specifically for the cut flower market, available all year round. The first group of cut roses was released in 2004. A different proposition from the status quo, they took time to be accepted. Today, though, they are considered some of the most prestigious and sought-after wedding and event flowers in the world. Appearing in several royal nuptials, they have been showcased on a global stage. David Austin Roses has grown significantly over the decades, but it still remains a family business at heart. Austin’s grandson, Richard, joined the company in 2010. The three generations of Austin men are supported by a loyal team, including several employees with decades-long tenure. Austin will be remembered as one of the greatest rosarians and rose breeders of all time who is responsible for creating the world’s first horticultural brand. He died already knowing what the future may hold, having planned and undertaken the next crosses, which will hopefully create a new rose to be introduced in nine years’ time. In addition to his field work, Austin had a great love for literature and writing. His first book, The Heritage of the Rose, was published in 1988. In 1993, he published the first edition of The English Roses, which won great critical acclaim around the world. In 2014, he published a collection of poems entitled The Breathing Earth, which draws on his life experinces and his love of nature. Austin was preceded in death by his wife, Pat. He is survived by his three children, David, James and Claire; his sisters, Barbara Stockitt and Heather Coulter; eight grandchildren and his loyal canine companion, Bertie. The Austin family invites anyone who wishes to share their memories and condolences to email rememberingmra@davidaustinroses.com.